We are a unique, privately owned, children’s day nursery and holiday club which opened in January 1995. 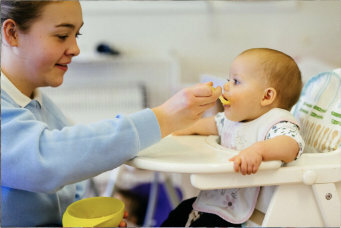 The Nursery began as a sole Trader and in 2007 became a Limited company. The Nursery is now a family run business alongside the owner’s three children. 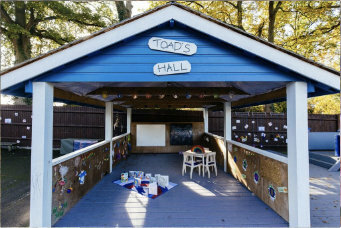 Toad Hall Nursery is located two miles from Wokingham and can be approached from Barkham Road or Finchampstead Road along Evendons Lane and is very accessible from Wokingham and surrounding areas. 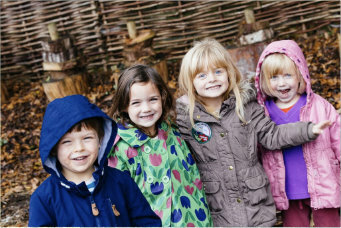 We are set in two acres surrounded by farm land and offer children a beautiful natural environment which gives them a safe and stimulating environment in which to develop and learn through their early years. Our aim is to provide high quality child care early years learning experiences whilst retaining a personal service and friendly atmosphere. We believe this allows Toad Hall Nursery to provide parents peace of mind and the best possible care for children. We hope you enjoy looking at our website. Maureen Ackroyd opened Toad Hall Nursery in January 1995. She is married with three children, Catherine, David and Rachel. When Catherine was a young child, her ambition was to work with children; when she had the opportunity in 1994 to start a business. 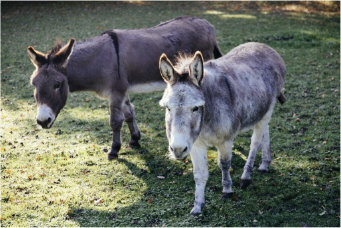 Maureen investigated the possibility of starting a nursery and it soon became apparent that there was a high demand for more nurseries in the Wokingham area. The baby unit has space for 12 Tiddlers and 12 Tadpoles which is divided into these two rooms known as base groups. 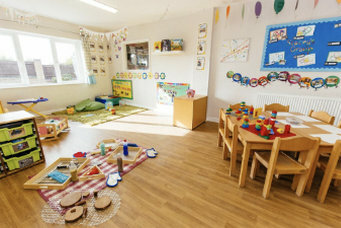 Each base group has their own main play areas, which allows for sensory exploration; physical and role play; messy play; construction materials and quiet time. We then have a large separate cot room for our youngest children who sleep in cots, and a milk kitchen and nappy changing areas. Fees are payable by cash, standing order, direct debit or childcare vouchers in advance on the 1st of each month. If fees are not paid by the 7th of each month a late fee charge of £10 will be levied. We regret that we are unable to accept cheques as payments. 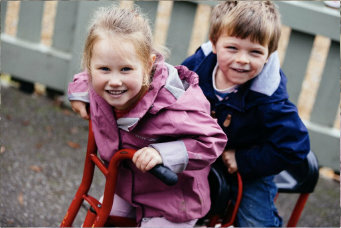 We accept all childcare vouchers, and you must inform us of payments being made and any adjustments you make to these. The staff at Toad Hall rose to the occasion and have always, in five years with three children, gone above and beyond in their care for our children. The staff genuinely care, form strong bonds with the children for whom they care and from this foundation they promote excellent emotional, educational and physical development. Our children blossomed in this environment. We all worry about our children, especially when we are not with them. Yet I know that the peace of mind the staff at Toad Hall gave to us was invaluable in allowing us to perform our duties safely. I have lost count of the number of times that Toad Hall Nursery saved the day, always been impressed by their diligence and attention to detail, often pleasantly surprised by their patience, kindness and most importantly their safeguarding for those in their care. On the sporadic occasions that I have witnessed their first aid skills they have never been lacking.